Our skin is the largest protective barriers of our body. Having healthy skin is an important aspect of being well. Keeping our skin moist and flexible during the cold, dry winter months is a challenge many of us combat by slathering on a multitude of lotions. Commercial lotions can be expensive and filled with toxic preservatives and other chemicals including fragrances. One of the most inexpensive and healthy lotion you can use is coconut oil. Coconut oil is very soothing and healing to your skin, both internally and externally. The best time to apply it is after a shower on moist skin. A small amount will easily melt in your hand and glide over your skin without leaving you greasy. A little goes a long way, so you don’t need to be generous. Using a small amount will also prevent you from smelling like you are covered in suntan oil. If you prefer a different fragrance to your skin care product, consider using essential oils that can also be ingested without harm. There are many good products available, doTerra being one of them. A couple drops in a container of melted coconut oil will impart a lovely non-toxic fragrance. Coconut oil with a few drops of lavender makes a great non-toxic deodorant. With all these external uses, the key is “less is more”. What you put on your skin now will help protect you through the upcoming winter months, so pamper yourself with coconut oil and don’t forget to treat your internal skin cells by eating it too. Cindy Haas, RDHBS, CHHC, Reiki II Cindy’s career as a dental hygienist transitioned from clinical practice to helping dental hygiene students prepare for their National Board Exam as owner of Cindy Powell’s Board Review. With a strong interest in holistic care, Cindy became a Certified Holistic Health Coach through the Institute of Integrative Nutrition in NY. At IIN, Cindy was taught by some of our countries most progressive medical doctors with a mind, body, and spirit approach to wellness. 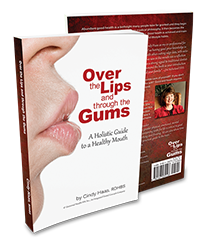 Cindy is a member of the American Dental Hygiene Association, the American Academy of Dental Hygiene, the American Association of Drugless Practitioners, and has level two Reiki Attunement.